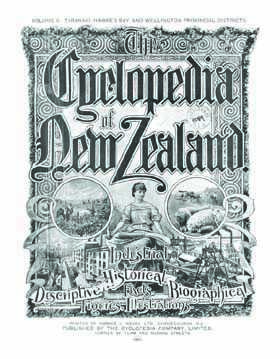 The (1908) covers the Taranaki, Hawke’s Bay and Wellington provincial districts. It records the biographies, often including photographs, of professional and tradespeople in some detail with entries ranging in length. Suburbs and their leading citizens are also covered. The volume lists societies, organizations and institutions and provides biographies of prominent members. It outlines the process of government and names leaders of legislature.